Could sensible changes hurt the pension funds’ license to operate? At a recent seminar of the Dutch Central Bank, organized for pension fund trustees, one workshop that I presented (in Dutch) dealt with the question of organisational changes in risk and investment management. There was a rather simple question to begin with: are the changes in domestic and international regulation random, or are there structural developments behind these changes? If the answer is random, then it makes sense for trustees to hold off major changes (pensions are long term decisions and not something to be trifled with in the short term), if they are structural, it makes sense to adapt, and implement those changes which are likely to last for a long time. My argument was that there are structural changes going on, which might not come as a surprise, but the end results might well be. What are these changes? In a nutshell: the centerpiece of the argument hinges on pension funds increasingly being viewed as financial intermediaries. Pooling assets, performing asset transformation, acting as a delegated monitor. A clearer focus on the asset transformation then introduces risk management, which will be far more explicit in the years to come. After all, a pension fund knowlingly generates risks, and expects to be rewarded for it, but this implies that the design of risk management, its link to the goals, and the allocation of results due to generating these risks (to the sponsor, participants, pension fund) is somewhat of a higher priority than investment management. 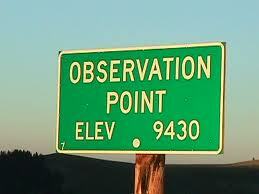 Which leads to the delegated monitoring function. Pension funds who have a clearer focus on what they want, and what the risks are, should be able to manage their investment managers more strictly, shifting the balance from the suppliers to the buyers (which is a good thing). The devil is in the detail though. If a pension fund goes through all these motions, the end result might well be that it looks like, acts like and talks like a financial organization. Paradoxically, participants increasingly lose faith in the financial sector, as surveys indicate. This poses a dilemma, which is not unsolvable though. Trustees could acknowledge that their organisation should be run as a financial organisation, but definitely is not one, and make this visible in the way the investment are run, requiring trustees to speak out, and say what they do or do not like, with the preferences of the participants in mind. Think about debates like active and passive management, costs, long term investing, these are the kind of debates that ultimately determine whether a pension fund will be confused with an asset manager, or invests on behalf of its participants. At the EPFIF (International Pension Fund Investment Forum) on September 4th, the theme of the seminar was challenging investment beliefs; ￼critically questioning the conventional or self-evident truths. My presentation focused on the challenging part. Investment beliefs are a tool to help you challenge conventional truths, thought out badly, or ignored, they become a challenge to the investment organization. 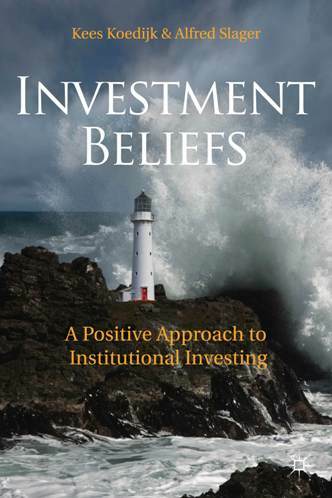 Investment Beliefs is part of a broader approach to investigate and improve how we manage institutional investments. Is has to do with a simple question: what makes a fund a good investor? One of the things we observe when analyzing investment processes and how they are organized, is that no matter how large or complex the organization is, the major decisions are closely linked to a limited set of fundamental choices, where the organisation articulates how it views debates like active vs. passive management, risks, costs, or for example the role of diversification. Writing down the major choices you have made in designing, and implementing the investment policy and processes that in your view is the best way to achieve the participants’ goals, are a sensible thing to do, and help discipling the decision making process. However, many organisations fail to do so. The presentation argues that trustees miss out on a valuable tool to manage the principal-agent relationship, because asset manager tend to have their own investment beliefs, which in the implementation of the investment policy might not always help the pension fund achieve its goals. Unfortunately, there is no free lunch to be had. The presentation also draws attention to the decision making and implementation process. Investment beliefs can also challenge the design and performance of the organisation in a bad way. An organisation runs into trouble if beliefs and its investment process are based on one or more of the following reasons, such as adopting a beliefs system which are copied from leaders, without a real grasp why these beliefs matter. Finally, the presentation concludes with a number of observations on how funds have applied investment beliefs in a sustainable manner. At the Benelux Pension Fund Roundtable, I discussed the role of executive offices at pension funds. Trustees steadily expand the staff and resources for these executive offices. However, we find that these offices (the Dutch term is “pensioenbureau”) come in different shapes and sizes. For example, do trustees need them to handle the increased complexity of coordination? This requires different knowledge than setting it up with the intention to provide counterweight to asset managers. Finally, some of the larger pension funds tend to concentrate all policy making activities within the executive office. In the presentation, I do not favor one model, but raise concerns that when trustees are not quite clear about the model that they prefer, executive offices might grow without any restrictions, possibly even becoming counterproductive at some point. For example, how do you make sure that the incentives (or investment beliefs for that matter) of a large executive office is aligned with the trustees, instead of nudging towards the investment manager? We regularly work with pension funds to clarify the investment philosophy, usually by debating the (existing) investment beliefs. This could be an interesting philosophical investment debate with no strings attached; but the relevancy to trigger such a debate is translating these into consequences for the investment organization and roles and responsibilities. The idea behind this is simple – well managed pension funds are better placed to achieve the best results for their participants (unfortunately, it is not a guarantee). This blog rounds up some of the observations we’ve made so far; the following blog will summarizes some workable guidelines. Kees Koedijk, at P&I’s 5th annual Global Pension Symposium, addressed strategic transitions in investment governance in European pensions, macro economic and institutional pension changes.